Neko is an arctic fox who acts somewhat grumpy a lot of the time. He often times gets annoyed with being called gay, mainly because he is but doesn't like to admit it. Although he often acts grumpy around most people, he can be sweet and kind when talked to the way he wants to be talked to. He, however, hates being flirted with by people who are too auspicious, males and females alike. He often gets annoyed with Andy's flirting with him, as Andy loves to do that. Um... Sorry, no background for him. My boyfriend and I will think of one, though, don't worry. As of right now, he lives in the same world as Andy and Connor. 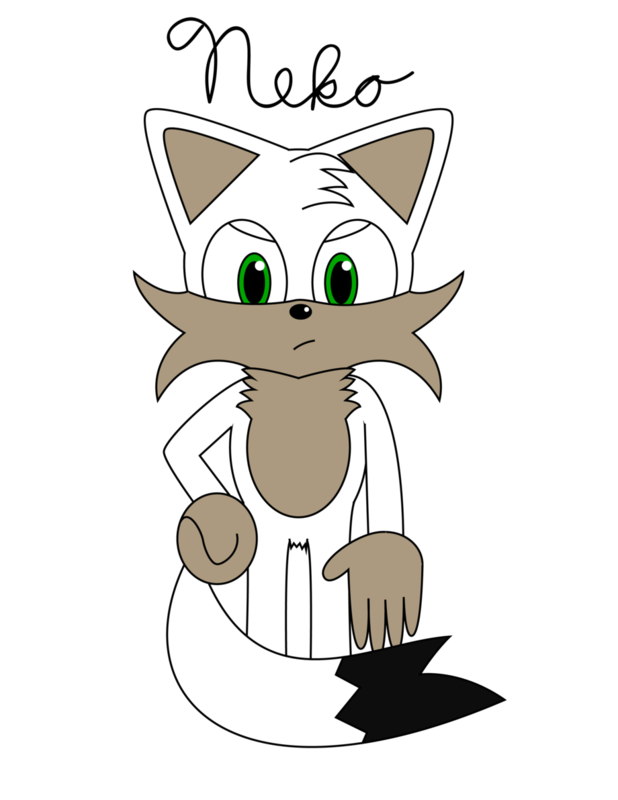 Neko is an arctic fox, so he, of course, has white fur, but some of his fur is black, and that wasn't exactly easy to show with my drawing style. ^_^' Sorry. He has green eyes and a very long tail, too. Well, my boyfriend didn't draw him with any clothes at first, and neither did I, but I'd probably draw him wearing a t-shirt and jeans if I ever needed to. Hello! ^_^ So my (ex-)boyfriend wanted to make his own fursona, and he came up with an arctic fox named Neko as one. Yes, we know the Japanese word neko means cat, but it had a nice ring to it. Anyway, he asked me to draw Neko for him, and I have done so. X3 He looks so cute.